Slow Sleep – the blog of sleep: Tell me how you sleep and I’ll tell you what sign you are! Tell me how you sleep and I’ll tell you what sign you are! If you thought that your favorite sleeping position was simply a matter of convenience well…think again! The position you sleep in was decided by the stars the moment you were born. 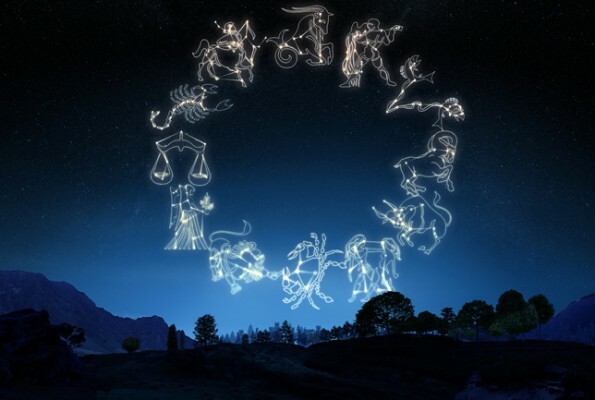 Yes, each zodiac sign – at least for those of us who believe in the influence of the stars – has its own personality and physical characteristics that affect our daily lives. Aries is hyperactive and because sleep is a waste of time for people born under this sign, they prefer a position with their arms and legs wide open or shaped like a star. This position will ensure they have the most restful of nights. People born under the Taurus sign use sleep as a genuine catharsis and as such, prefer to lie on their back with their hands on their chest. Feisty and tireless even while sleeping, Geminis love to lie on their side with one leg raised. Needing affection and lovers of sleep, Cancers can sleep almost anywhere at any time and prefer to hold a pillow between their legs. People born under the sign of Leo love to sleep face down, as if to make a bold statement to the world around them, which is totally different from Virgos who are rational even while they sleep, preferring to sleep with their belly up as if they didn’t want to be too loose. Libras love to sleep in a prone position while odd-fellow Scorpios take the position of a seeker, lying on their side with both arms forward. People born under the sign of Sagittarius, who are social and altruistic, prefer the position of the trunk, which is similar to a soldier on guard. Creatures of habit and with a healthy, balanced and linear personality, Capricorns like to sleep in the fetal position. Independent and stubborn, people born under the sign of Aquarius prefer to sleep in the “freefall” position, i.e. on their belly with their hands outstretched to the sides. Imaginative and in need of protection, Pisces also like to sleep in a fetal position. And what about you? Did the horoscope guess your preferred sleeping position?